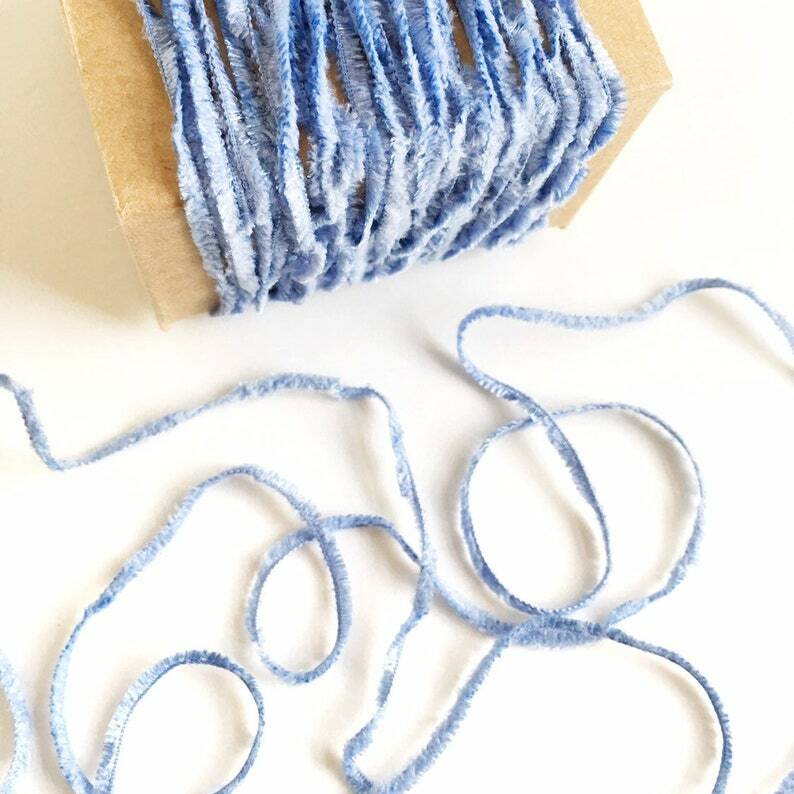 This listing is for 6 yards of lovely petite fringe twine in pale blue. This twine is perfect for gift wrapping, packaging, parties, weddings, crafting, scrapbooking and more. Your twine will arrive neatly wound on a cardstock spool. Fringe measures approximately 2 mm long.